Happy Little Camper rents out classic T2 Westfalia Camper Vans for a weekend away or a unique holiday. You can rent the Volkswagen Camper Vans from our locations in Amersfoort, the Netherlands and the Provence, South of France. With an authentic VW Camper Van you can camp and travel in style. Enjoy the view and stop whenever you like to take a closer look, you’re on a holiday after all. At the end of the day you can roll onto any camping spot, retro-style! Our Volkswagen T2 Camper Vans from the 70s sleeps four people and feature: 2 gas burners, a fridge or cooler, sink with tap and a 220 Volt connection. Your rent of the camper van includes a complete inventory. When you want to travel around in Holland, Belgium of Germany, our location in Amersfoort is your spot to start. Amersfoort is a 35-minute (direct) train ride away from both Schiphol Amsterdam Airport or Amsterdam Central station. We meet you at the local train station and bring you to our garage for free. 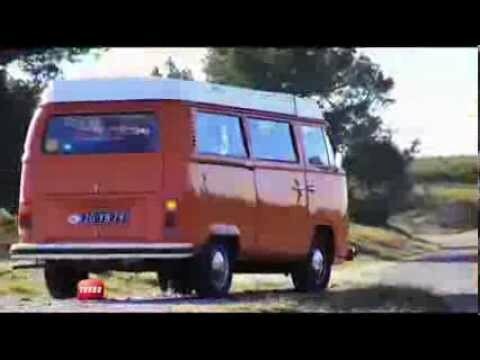 Traveling in a classic camper van in the south of France? Driving on small roads through the most beautiful areas where the sun shines almost 300 days a year? This is possible from our rental locationin the South of France. Easy to reach with your car, by train (TGV Aix-en-Provence) or by plane (Marseille Airport). We offer Airport transfers. In order to have the rental of the vintage camper van fit in your holiday plans, you can pick-up and return the camper on every day of the week. The minimum rental period is 4 days, 3 nights, after which you can extend the rental period per day. The rent of the campervan includes a complete inventory. Departure and return on every day possible. 150km per day rental free to drive. Extra kilometres cost €0.25 per kilometre. Our campervans have been excellently insured, especially suited for rentals. The rent of the campervan includes roadside assistance and replacement transport in the rental areas. We do work with a deductible (franchise) of €1000 in case the damages are your own fault. Optionally, this deductible can be lowered to €500 at an additional fee of 10% of the rental fee.